Plastic bottle lanterns! A breeze to make and they look cute too. 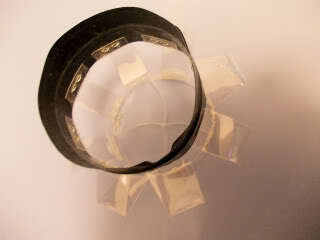 All you need is plastic bottles (i like colored ones), some glue, a stapler (optional), scissors and duct tape. Will do a tutorial if anyone is interested. 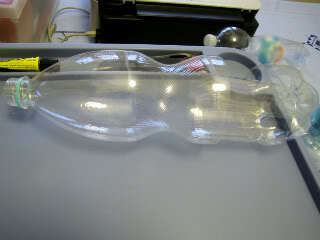 First you get your bottle and cut out the smooth bit (usually the part where there is the label). 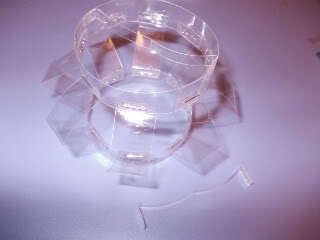 Cut it out and get a piece like this but don't throw away the rest of the bottle yet! 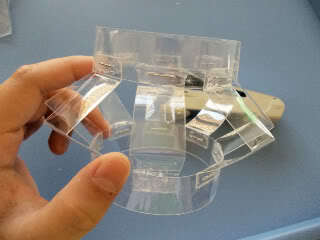 From the piece you cut out, roughly cut them into 1.5cm strips (you can also cut them more thin or thick depending on your own preferences.). 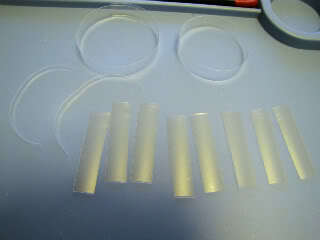 Now cut out other strips(rings) from the rest of your bottle, 2 of 1cm strips(rings) and 2 of 0.5 strips(rings). 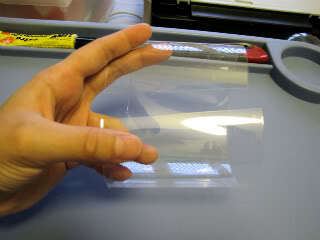 Fold your 1.5cm strips into half and fold 0.5cm on each end. 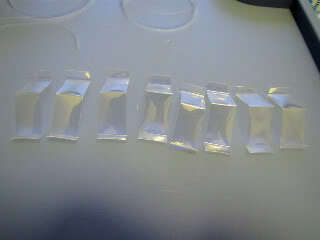 Apply glue to the 0.5cm tabs. Glue them to the ring, space them out evenly. 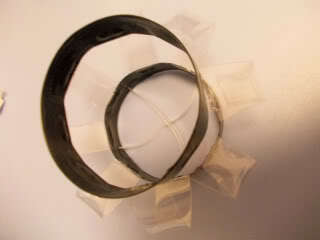 Glue them to the other ring and in this case, I also stapled them after gluing for extra security. Take the 2 remaining 0.5cm strips, snip a little in the middle (not all the way through!) 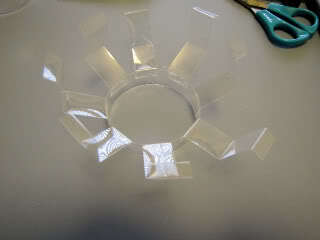 fold the ends until it fits in the base of the lantern and glue or staple it. Slot in the second strip where there is the cut and affix it. Duct tape the top and bottom. I used only a piece of duct tape; I covered the front first then folded it back. And you are done! You can also fix a chain to it to hang it around. 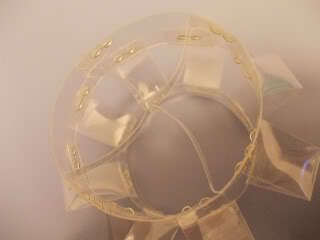 I used a pushpin to poke (and widen) 2 holes in the sides, got a chain, opened one and push it through the holes. I hope this tutorial is somewhat clear. Feel free to ask me questions. How clever! Yes I would like a tutorial. These are just awesome! Tut would be wonderful! I would like to jump on the tutorial bandwagon as well! What a great tutorial, thanks for putting that together. It would be fun to make them with a group. Battery powered tea lights are inexpensive & easy to find if anybody is concerned about an open flame melting the plastic.